Here at Denis Heffernan Fitted Furniture we are committed to offering our clients bespoke, custom built kitchens, bedrooms, furniture and storage for schools and the office of the highest quality at competitive prices. We realise the importance of the kitchen and bedroom as a functional and inviting room in the home and all designs are built around the needs of each individual client. Let Denis Heffernan Fitted Furniture consult with you in the early stages of your development to assist you in creating the perfect kitchen or bedroom for your home. All of our designs are created in our workshop in Thurles, leaving us ideally placed to offer you complete control over the layout of your kitchen or bedroom. Creative solutions to maximise space and storage are our speciality. We also specialise in creating clean and modern solutions for school rooms and office fit outs with effective storage solutions and unique layouts to maximise collaboration between students and co-workerrs. 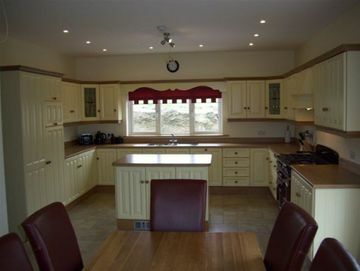 We at Denis Heffernan Fitted Furniture have been creating and installing quality fitted kitchens throughout Tipperary, Kilkenny, Offaly, Waterford and Limerick since 2000 and our team have over 30 years of experience in woodwork. During this time we have amassed a reputation for the excellence of our craftsmanship and the quality of our customer service. We also specialise in shop fit-outs and welcome smaller projects such as alcove and TV units. Please feel free to call to our showroom for a free consultation with our designer who will create your design in 3D, be it a kitchen, utility room, slide robes for your bedroom, or simply an alcove you wish to make better use of. 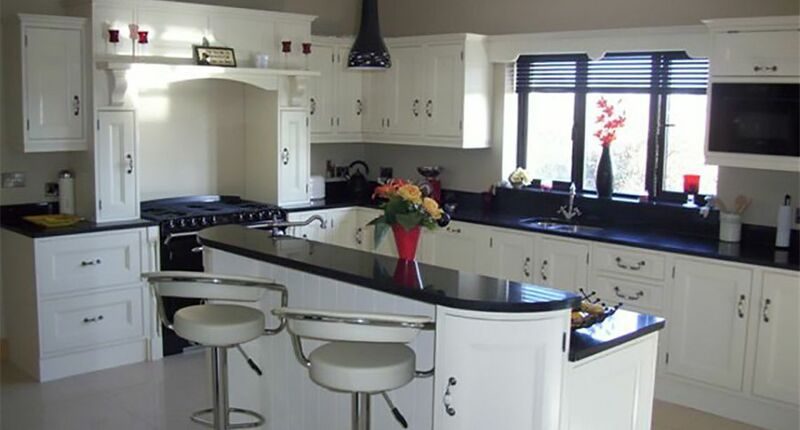 Dennis Heffernan Kitchens offer a professional service from your initial consultation with computer-aided design (CAD) through to the fitting of your new kitchen. 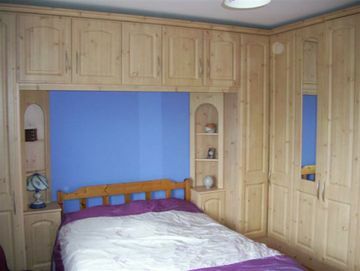 Dennis Heffernan Kitchens also specialise in bedroom furniture and storage solutions.